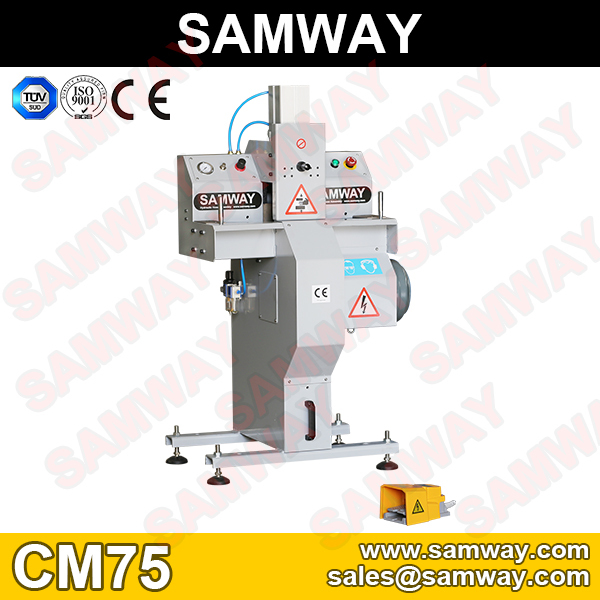 SAMWAY CM75 cutting machine can be easily adjusted to choose optimal cutting speed for every hose. 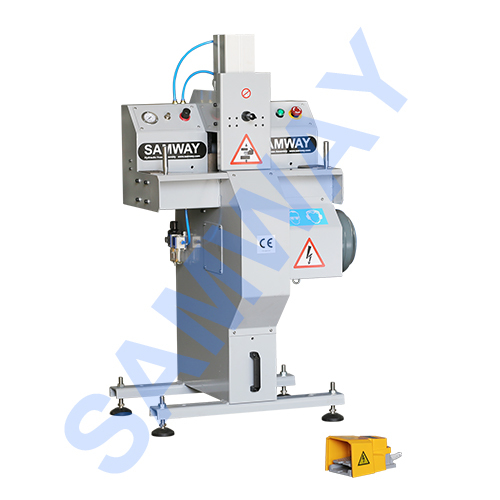 SAMWAY CM75 hose-cutting machine have been designed to cut up all types of hoses up to 2”diameter 6-spiral hoses or 4‘’ Industrial Hose. The 520 mm diameter blades operate at 3000 rpm. The hose is pushed against the blade by a pneumatic cylinder. Piston movement speed can be quickly and easily adjusted to choose optimal cutting speed for every hose. Lower speeds are used with thick hoses thus overheating of the blade is avoided. The blade can be sharpened when necessary. 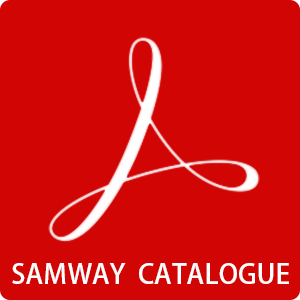 The cutter has a built-in bin for the collection of cutting waste. A metal safety guard protects the blade.